I was having some trouble with playing audio through my new USB headset and desktop speakers at the same time earlier, but after a bit of searching and trial-and-error managed to find a solution. 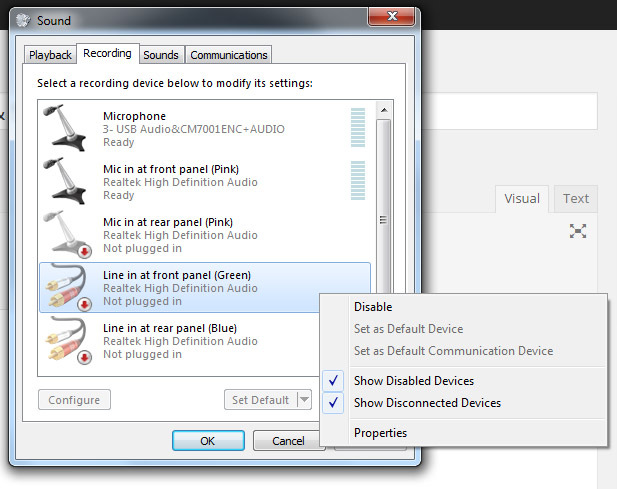 Firstly, make sure that your USB headset is plugged in detected properly by windows, you then need to right click on the volume icon in your start bar and select ‘Recording devices’. 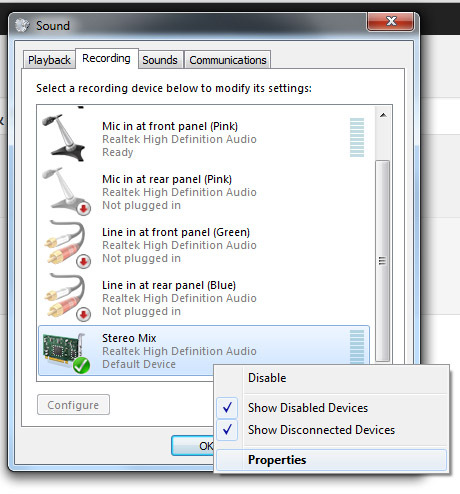 Next, right click in the selection area under where it says ‘Select a recording device below to modify it’s settings’, make sure that the ‘Show Disabled Devices’ and ‘Show Disconnected Devices’ are ticked. 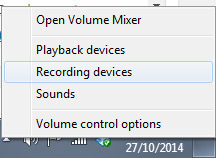 Scroll down to ‘Stereo Mix’ (If it does not appear in the list you may need to update your sound drivers). 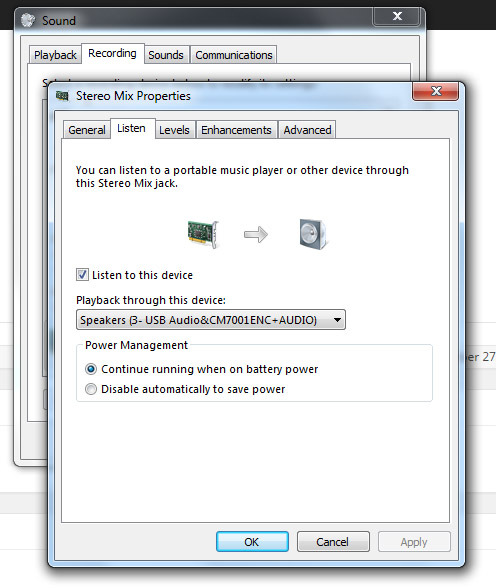 Right click on ‘Stereo Mix’ and select ‘Properties’. Select the ‘Listen’ tab and then tick the ‘Listen to this device’ box, directly below the box is a drop-down box named ‘Playback through this device’. 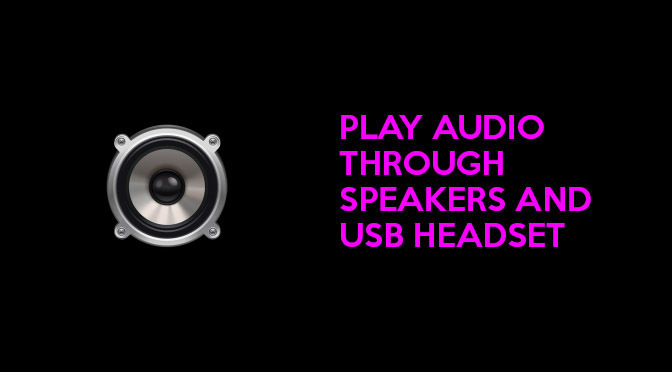 Click on this and select your USB headset from here. Click OK and you’re done! Next Next post: Backup & Access Your Entire Music Collection For Free!